APS vice president of Sales & Marketing, Dennis Santare, also announces that APS has just established a service agreement with Leonardo Helicopters (http://www.leonardocompany.com) of Rome, Italy, to begin work servicing the actuators on AW109 series helicopters for operators throughout Brazil. Leonardo manages comprehensive aftermarket support for its customer base in Brazil. According to Santare, “In preparation for this new repair work on AW109 helicopters, APS installed new test equipment, tools, parts, etc., in addition to sending two of its technicians to the OEM for extensive training. With this addition to our capabilities portfolio, and given the caliber of our team, processes and technologies, APS can now bring its high-quality brand of MRO services to AW109 operators throughout Brazil. This latest licensing award from the OEM further strengthens our relationship with the OEM and reflects its confidence in our organization. All of Leonardo’s helicopters, including the AW109 series, AW119, AW139, AW169, and AW189 are in high demand in Latin America and Brazil, where the total fleet exceeds 180 aircraft. 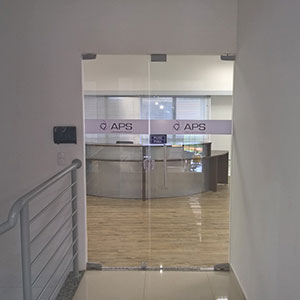 Its new relationship with APS will further support its continued growth in the market. Leonardo continues to maintain a leading position in the multi-engine helicopter segment in South America and the broader global market. For more information, visit www.aircraftpropeller.com.